The longest-running show on American television is having a moment, once again. NBC's Meet the Press is beginning its new season with a formula that hasn't changed much since it debuted on Nov. 6, 1947: A moderator interviews a newsmaker, usually a politician or candidate, followed by a discussion of the top political and policy issues of the day. 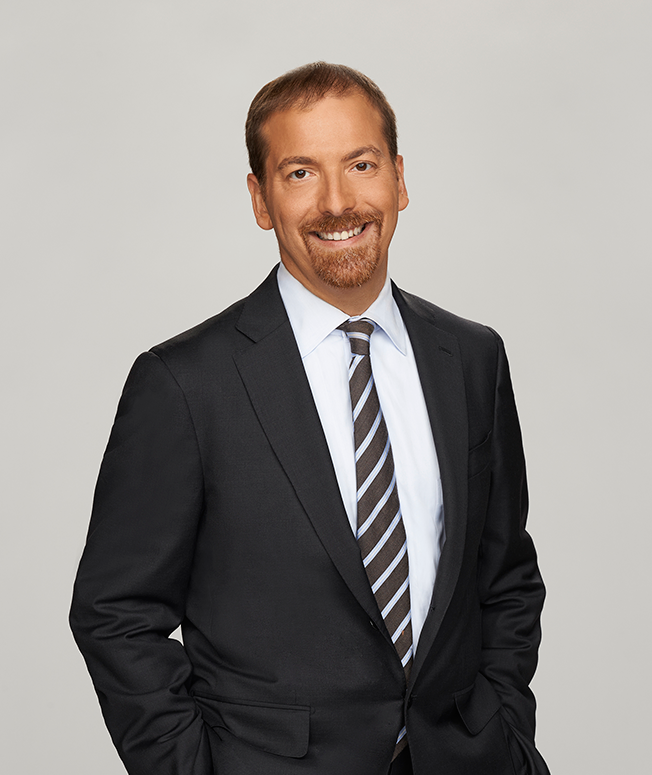 These days the moderator is Chuck Todd, a political wonk who got his start in politics briefly working for the 1992 presidential campaign of Sen. Tom Harkin (D-Iowa). "Basically, I was the runner to go to the bank to deposit checks," he explained. After 15 years at National Journal's The Hotline, including six as editor in chief, the late Tim Russert recruited Todd to NBC as political director. In 2014, Todd took over Meet the Press from David Gregory after it fell to third place in the ratings. Since then, Todd and his team have brought the show back to No. 1 in the ad-friendly news demo, beating out ABC's This Week, CBS' Face the Nation and Fox News Sunday. Todd, meanwhile, still has some unfinished business, which includes completing his degree from George Washington University. Adweek: We're in the home stretch now. The presidential candidates have their late-game strategies. What's the plan for Meet the Press in these final eight weeks? Chuck Todd: The challenge is the speed with which the waves are going to come at us and the struggle to filter out what matters and what doesn't. I feel like that's half of my job. And the other half is, what issues are we going to feel guilty about not surfacing before election day. Sounds like you're Monday morning quarterbacking yourselves? Exactly. Monday morning quarterback yourself before it happens. I'll give you an example: I think we're undercovering this issue of voters under 35 and how unattached they are to both major parties. If Hillary Clinton comes up short on Election Day, it may simply be that young voters went heavier for Gary Johnson and Jill Stein than many anticipated. What do you think of the selection of the debate moderators, which include NBC's Lester Holt and Fox's Chris Wallace? I'm a believer in debate moderators the way I believe in umpires at a baseball game or referees at a football game. I hope they're not memorable by the end of the process. And I think all the people that were chosen are all capable of being the types of moderators that haven't mistaken the fact that the debate is about them. Donald Trump said he's going to participate, as of now, in all three debates. What do you think could make him change his mind? My guess is he doesn't skip any of the debates. People close to him believe one of the reasons why he lost Iowa was because he skipped the [primary] debate. I think he played this game once, and his assessment is it didn't work. You just crossed two years moderating Meet the Press. You've taken the show from third to first in the adults 25-54 demo and frequently No. 1 in total viewers. What would Russert think of the show's current iteration? I think about this all the time. I think some of it he would love and some of it he would be like, "Well, I wouldn't do that, but I see why you're doing that." Everybody has their own style. It was also a different media landscape just 10 years ago. A different type of audience. We had an audience that would accept 30- to 40-minute interviews at a sitting. I lament those days.